In the process of mounting, matting and framing an original photograph it is of crucial importance to use the right materials and techniques for limiting any damage that might be done to it while it is on display. SMPhoto Conservation Studio makes customized mounts that can fit any type of photographic object and we work closely with the experienced framers to design protective casings which limit the risk of environmental damage from light, humidity, air pollutants, dust, etc. Our studio uses only chemically stable materials of archival quality and all products that come into contact with the photographs have passed the Photographic Activity Test (PAT), an international standard test (ISO18916) for evaluating the safety of products used for the archiving and display of photographs. 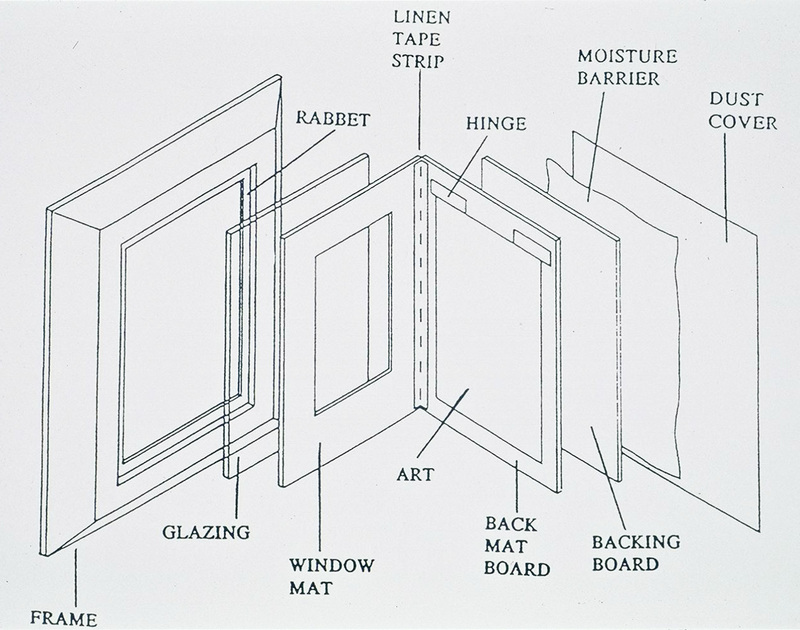 Our preservation techniques of matting and framing are based on the guidelines of the Library of Congress in Washington, DC.